After winning the Elgin National Road Race, held in Elgin, Illinois on 23 August 1919, Duesenberg race car driver Tommy Milton began to focus on one of his top goals: establishing a new land speed record at Dayton Beach, Florida. The current record was held by Milton’s rival Ralph De Palma at 149.875 mph (241.001 km/h). Milton had been contemplating a land speed record (LSR) car for a long time. In December 1916, he and Fred Duesenberg entered into an agreement* to build a car to Milton’s specifications provided Milton would partially fund the vehicle. With his share of the Eglin winnings, Milton was one step closer to building the LSR car. Milton was born in St. Paul, Minnesota on 14 November 1893. From birth, he was blind in his right eye, but he never let that slow him down. 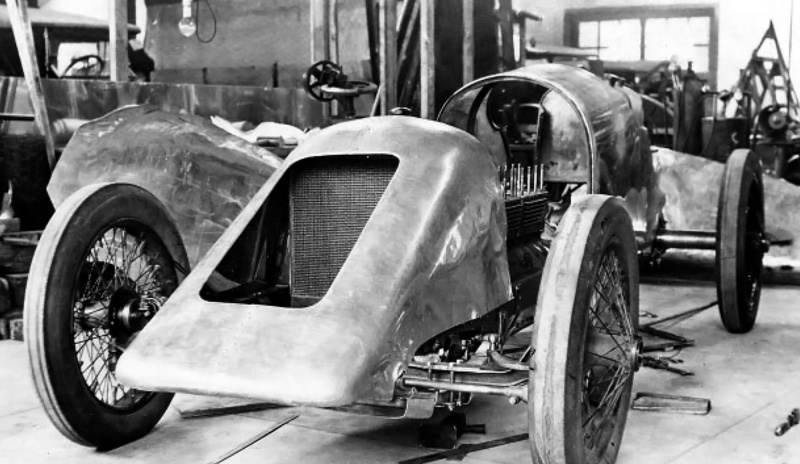 At the age of 19, in 1913, Milton was given his family’s old car, and he quickly set to work to make it a faster. He began entering the car in local races and stood out with obvious potential. Milton’s natural abilities were noticed by race promoter Alex Sloan, who offered Milton a job. Sloan ended up firing Milton in 1915 for winning staged races he was supposed to lose. Milton did not mind; he had already made arrangements to race for Duesenberg during the 1916 season. Even without any victories, Milton did well enough through the 1916 season to finish in seventh place in the AAA national points standings. A world at war interrupted the 1917 and 1918 seasons, but Milton was back behind the wheel of a Duesenberg for 1919. After the Elgin, Milton headed to Uniontown, Pennsylvania for the next race. It was at Uniontown on 1 September 1919 where Milton met disaster while hunting for his fourth win in a row. In first place and with only 10 laps to go, fuel from a ruptured line ignited, causing an intense fire. The car ablaze, Milton expertly spun the car 180 degrees, putting the flames away from himself and his riding mechanic, Dwight Kessler. Driving backward, Milton headed toward the inner guard rail and help. Milton was able to extricate himself from the car but required hospitalization for his badly burned right leg. Kessler, also burned, escaped with less severe injuries. While in the hospital, a semi-conscious Milton interrupted the doctors who were discussing the need to amputate his burned leg. Before he fell back into unconsciousness, Milton made it very clear that he wanted to keep his leg. The doctors were able to avoid amputation, but Milton needed months of hospitalization to recover. Jimmy Murphy often visited Milton in the hospital. Murphy was also a driver for Duesenberg, and the two had become good friends. Murphy had been Milton’s riding mechanic for the Elgin race, and Milton, who was the Duesenberg team captain, continued to encourage the novice Murphy. As Milton lay in his hospital bed, he had a lot of time to think of his land speed record ambitions. 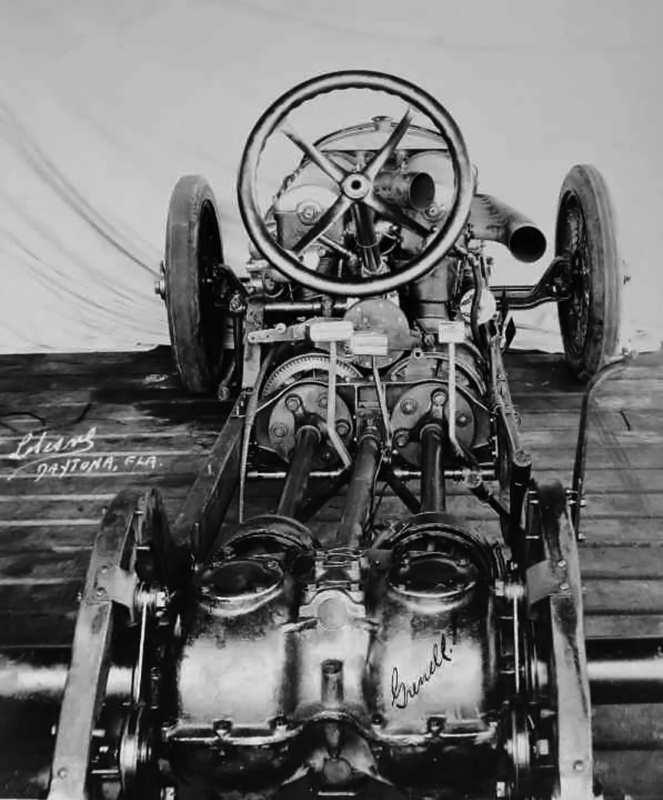 As World War I was drawing to a close, Fred and Augie Duesenberg designed a new straight, eight-cylinder engine for when racing resumed. This new engine was a departure from previous Duesenberg designs; gone were the long rocker arms and horizontal valves of their previous engines. In their place was a single overhead camshaft that actuated two exhaust valves and one intake valve positioned at the top of each cylinder. The engine’s camshaft was driven from the crankshaft via a vertical shaft at the front of the engine. The crankcase and cylinders were a single casting to which the cylinder head was attached. All castings were iron. Two intake manifolds were positioned on the left side of the engine, and each manifold fed the air/fuel mixture to four cylinders from a single Miller updraft carburetor. On the right side of the engine, the exhaust gases were collected in a common manifold. The engine had a 3.0 in (76 mm) bore and 5.25 in (133 mm) stroke. It displaced 297 cu in (4.86 L) to conform to the 300 cu in (4.91 L) limit imposed on race engines at the time. The engine produced around 92 hp (69 kW) at 3,800 rpm. Picture taken in Daytona Beach, Florida showing the bodiless Duesenberg-Milton LSR car. Each eight-cylinder engine drove its own drive shaft which led back to the rear axle. Note the hollow steering column and the position of the exhaust manifold for the left engine. Unfortunately for Duesenberg, this new “300 cu in” engine was soon made obsolete by a rule change that stipulated a 183 cu in (3.0 L) displacement limit for the 1920 Indianapolis race. With no other application for the 300 cu in engines, Milton envisioned using them for his LSR car. Over his two months of hospitalization, Milton solidified the LSR car design to include two completely separate 300 cu in engines positioned side by side at the front of the racer. Via a cone clutch, each engine directly drove a drive shaft. At the end of each drive shaft was a pinon that engaged a ring gear on the special, solid, live axle. The chassis for the Duesenberg LSR car was encased by a sheet-metal body, including an undertray. The front of the car was slanted and had a large opening for the radiator. A long tail tapered back beyond the rear wheels to form the rear of the car. The exhaust pipe from the left engine passed through the cockpit on its way to the outside of the car. In November 1919, Milton was out of the hospital and, although still recovering, was back behind the wheel of a race car; he continued to win races and break records. 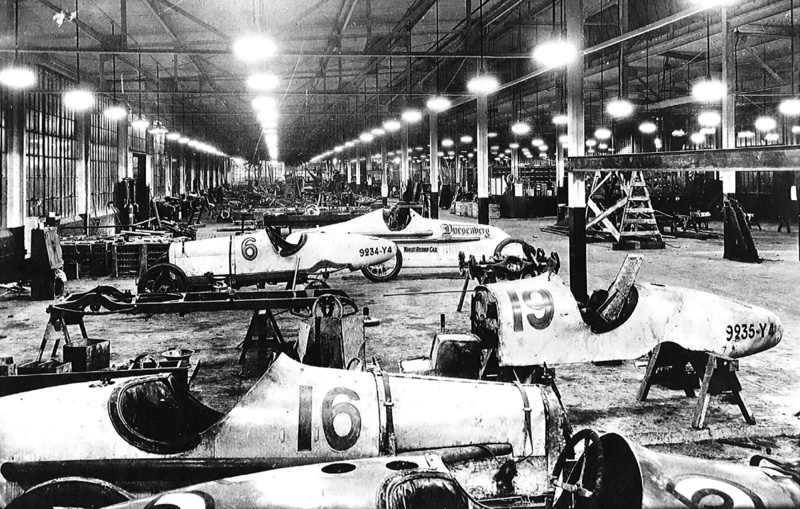 Milton also worked on the LSR car whenever he could at Duesenberg’s shop in Elizabeth, New Jersey. Another view of the twin-engine set up in the Duesenberg-Milton LSR car. Just below the steering column is a reversing gear that was quickly added to the racer at Daytona to comply with Automobile Association of America rules. The first race of the 1920 season was the inaugural race at the Los Angles Speedway in Beverly Hills, California. Since this race would be the last for the 300 cu in engines, the LSR car was shipped with the other racers to Beverly Hills. Once the races were over, the 300 cu in engines could be installed in the LSR car and tested at the track. The race was held on 28 February 1920, and it was Murphy’s first victory. Milton had dropped out with engine trouble. Another race was run a month later on 28 March. Milton and Murphy both won separate sprint races. As planned, the 300 cu in engines were removed from Milton and Murphy’s cars and installed in the LSR car. The LSR car, sometimes referred to as the “Double Duesy,” was tested around the track, where Milton reportedly covered the one mile (1.6 km) circuit in 37 seconds—a speed of over 97 mph (156 km/h). The Duesenberg LSR car still needed many finishing touches. Murphy, Harry Hartz, and the LSR car were sent to Daytona Beach, Florida to be prepped for a record attempt in April. Milton went to Havana, Cuba to participate in an “all-star” race in which he hoped to earn some much needed winnings, as the LSR car had drained his finances. Before he left, Milton gave explicit instructions that the LSR car was not to make any high-speed runs without him behind the wheel. The completed Duesenberg-Milton LSR car at the Los Angles Speedway in Beverly Hills, CA. Jimmy Murphy sits behind the wheel ready to take the car out on the track. The picture was taken before the car was sent to Daytona Beach in April 1920. When Milton arrived in Florida from Cuba on 18 April 1920, he read in a newspaper that Murphy had driven the Duesenberg LSR car to 153 mph (246 km/h), unofficially surpassing De Palma’s speed of 149.875 mph (241.201 km/h). Milton’s outrage with Murphy’s speed run was obvious to everyone once he arrived at Daytona Beach. Fred Duesenberg attempted to take the blame for putting Murphy in the LSR car, but Milton was beyond being reasoned with, and Murphy left the beach. This event marked the end of Milton and Murphy’s close friendship, and Milton would also be done with Duesenberg when he got the chance. 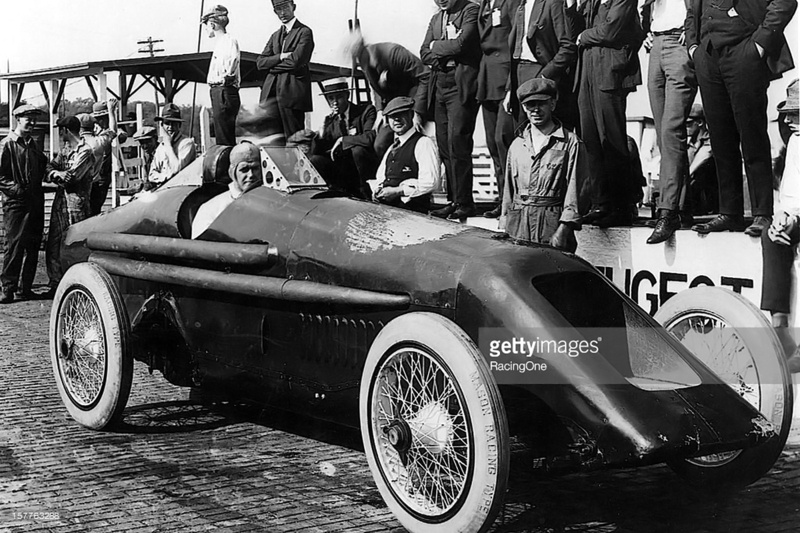 The issue was not that Murphy tested the car, but that a record speed had been run. The recording of a record speed was not Murphy or Duesenberg’s fault; an intrepid reporter with a stopwatch was most likely the catalyst for all the turmoil. Milton was determined to go faster in the LSR car for the official runs. 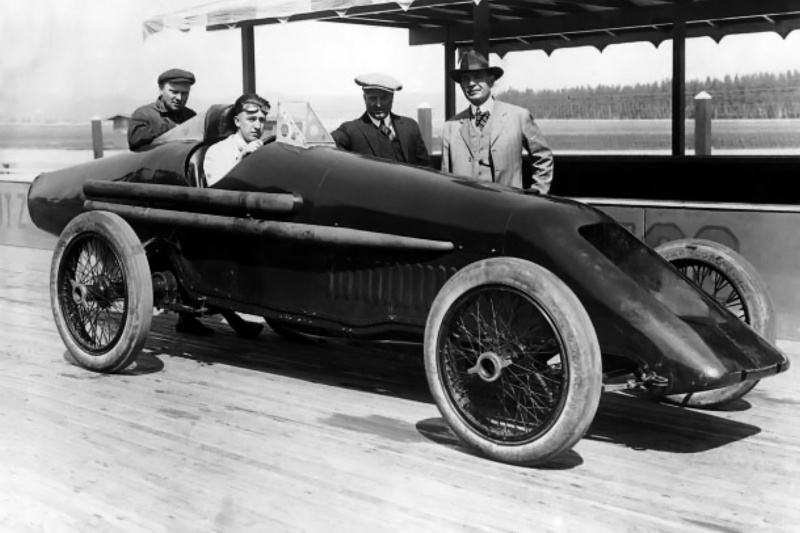 Milton and Fred Duesenberg believed the car was capable of 180 mph (290 km/h). However, Milton ran into trouble with mechanical issues, bad sand, bad weather, and the wrong gear ratio. Despite his best efforts, Milton was not able to better Murphy’s speed. On the beach, Milton and Hartz worked on the car to clear it of sand that had gotten everywhere during previous runs. The Duesenberg-Milton LSR car under power on Daytona Beach. Many sources indicate Milton was driving the car at the time, but it was very likely Murphy behind the wheel. With the Duesenberg LSR car back together and with favorable conditions, Milton made progressively faster runs down Daytona Beach. On 25 April 1920, Milton set seven new speed records, for everything from 0.5 to 5.0 miles (0.8 to 8.0 km). Milton covered a mile at 153.846 mph (247.593 km/h), but he felt the LSR car could go even faster. On 27 April 1920, Milton rocketed atop the sand when suddenly the car caught fire. Perhaps the extreme heat generated by the twin engines (especially the exhaust of the left engine) ignited fuel and oil that had pooled on the undertray. Heat and fumes traveled through the hollow steering column situated between the two engines and blew into Milton’s face. With the burns of his Uniontown fire still healing, Milton knew his situation was not a good one. He pressed on to finish the run but thought about driving the car into the ocean to extinguish the flames. Fortunately, that was not necessary. Milton and onlookers were able to put out the fire out using sand once he came to a stop at the end of the course. Milton’s speed on that run was recorded at 156.046 mph (251.131 km/h). Milton suffered burns and impaired vision and again needed time to recover. The Duesenberg LSR car was in need of repair, and the period of good weather was over. It was time to leave the beach. Because Milton’s record run was only one way, it would not be an officially recognized international record. However, the 156.046 mph (251.132 km/h) speed would stand as a United States record, and the speed would not be surpassed internationally until 1926. The Duesenberg-Milton LSR car with Milton in the cockpit. This picture was taken at Daytona Beach, most likely after Milton’s speed run. The paint on the engine cowling has been burned off, but the car appears to be in otherwise good condition, similar to how it looks in the picture from Indianapolis. Note the fabric wheel covers that Milton added to improve the vehicle’s aerodynamics and increase its speed. Milton left the Duesenberg team at the end of the 1920 season. Murphy was killed in a race on 15 September 1924. Despite whatever friction may have existed between the two men, Milton always respected and thought highly of Murphy. Milton helped get Murphy’s affairs in order after his death, even signing Murphy’s death certificate. The LSR car was retained by Duesenberg and later repainted and displayed in their Indianapolis factory showroom. However, it is not clear what happened to the car after the 1926 merger with the Cord Company. *Milton and Duesenberg’s agreement specified the use of a V-12 aircraft engine. 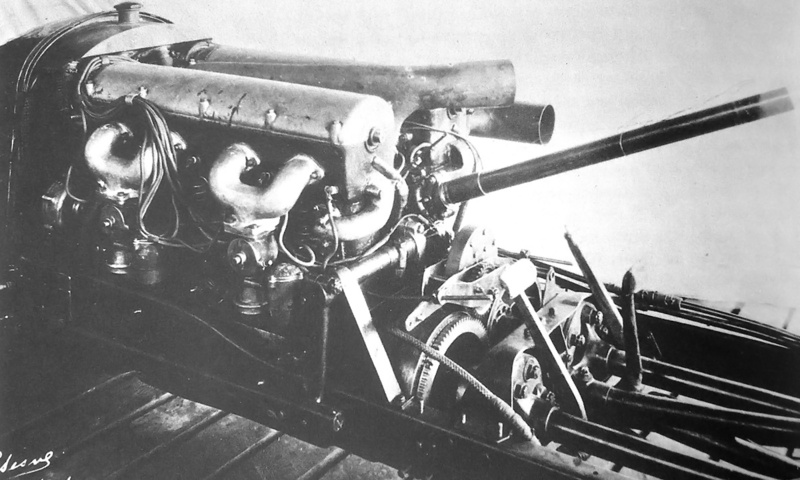 The intended engine could very well have been the 1,568 cu in (25.7 L) V-12 Duesenberg aircraft engine of 350 hp (261 kW) first run that same year (1916). Note: Many sources present conflicting information regarding the history of the Duesenberg LSR car, the record runs, and the perceived conflict between Milton and Murphy. This article is an attempt to present the story without magnifying or ignoring its primary details. The Duesenberg-Milton LSR car at the Duesenberg Indianapolis plant in 1921. Note that the LSR car has been repainted and branded the “Duesenberg World Record Car.” In the foreground are some of the cars Duesenberg sent to France to participate in the Grand Prix at Le Mans, which Murphy won (Murphy’s number 12 racer is not pictured). This entry was posted in Automotive and tagged Land Speed Record on 26 July 2015 by William Pearce. A fascinating story – thanks!